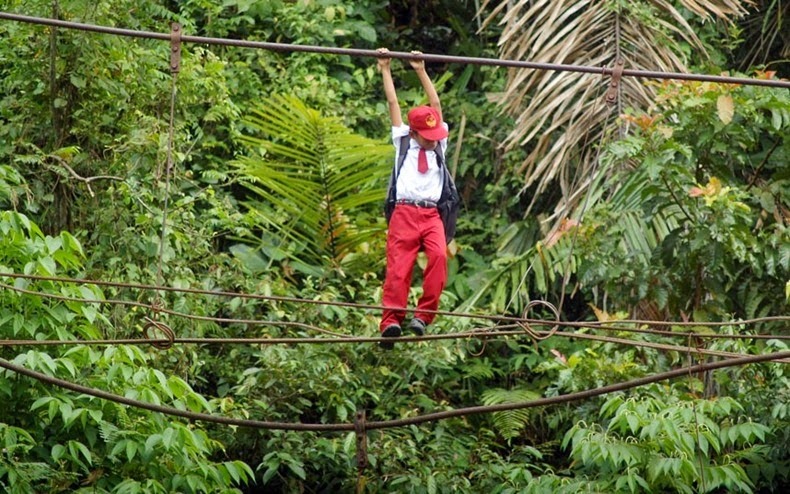 In Sumatra, Indonesia, 20 iron-willed pupils from the village of Batu Busuk have to walk a tightrope 30 feet above a river and then walk seven more miles through the forest to reach their school in the town of Padang. This is a feat the children have been performing for the past two years ever since the suspension bridge collapsed during heavy rain. 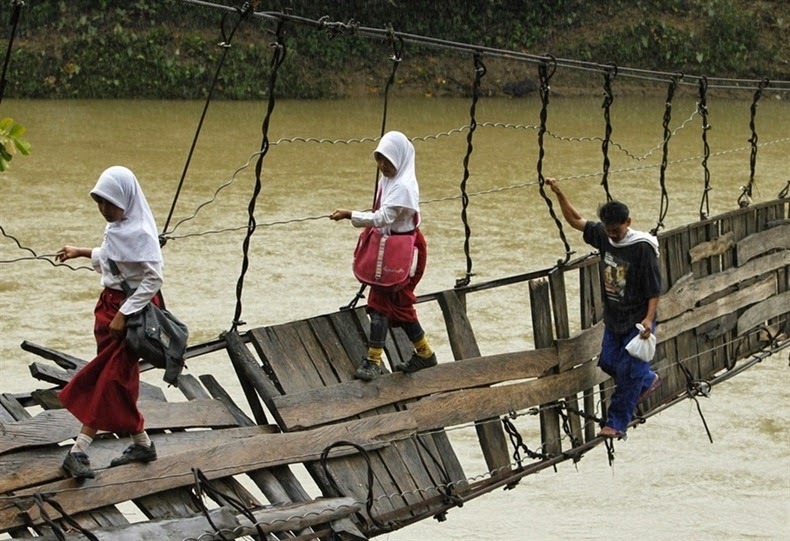 In the Indonesian village of Sanghiang Tanjung, children who have the misfortune of living on the wrong side of the Ciberang River have to cross a broken suspension bridge in order to get to the other side where their school is. 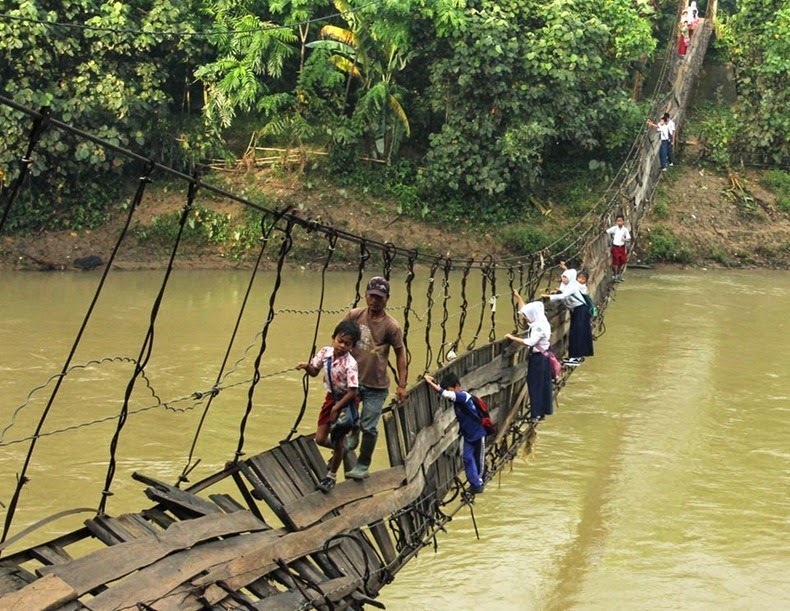 They children have opted for this perilous route, rather than walk an extra 30 minutes to cross using an alternate bridge. But on a note of good news, this is no longer the case for these children. Indonesia’s largest maker of steel, PT Krakatau Steel and some NGOs built a new bridge to replace the dangerously damaged one which was broken during flooding in January 2012.